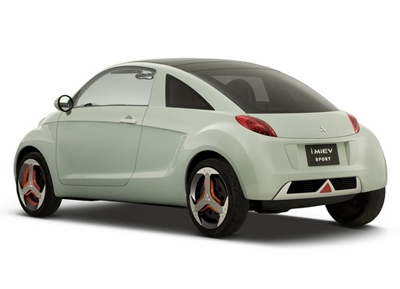 The Mitsubishi i MIEV is a concept minicar based on the same in-wheel electric motor propulsion found in the Mitsubishi EZ MIEV concept from 2006. 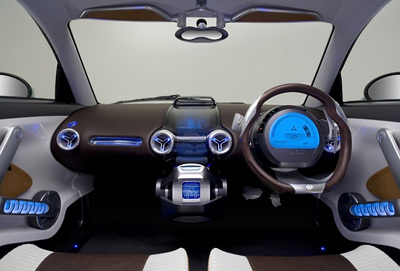 The i MIEV is the sports version of the platform. 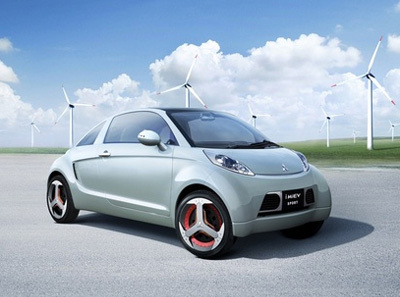 It features Mitsubishi's S-AWC (Super All Wheel Control). This system combines Active Center Differential (ACD), Active Yaw Control (AYC), Active Stability Control (ASC), and Sports ABS components, with braking force control to improve handling and road holding.